Posted on March 22, 2019 at 1:41 pm. San Francisco officials proposed legislation Tuesday that would ban the sale of e-cigarettes in the city and prohibit e-cigarette companies like Juul from occupying city-owned property in the future. Two bills authored by City Attorney Dennis Herrera and Supervisor Shamann Walton — whose district includes Juul’s corporate headquarters in the Dogpatch neighborhood — are part of several actions the city wants to pursue to crack down on youth vaping in general, and Juul in particular. One bill that Herrera and Walton introduced at Tuesday’s Board of Supervisors meeting would ban the sale and shipment of e-cigarettes to San Francisco stores and customer addresses until the U.S. Food and Drug Administration begins a vetting process known as a pre-market review, in which manufacturers must prove their products are appropriate for public health before selling them on the market. The city already bans youth-friendly flavors like candy and fruit in tobacco products through Proposition E, which voters passed in 2018. Physical stores are barred from selling them. The bill would ban all e-cigarettes regardless of flavor so long as they contain nicotine, and it would also ban the shipment of such items to private residences in San Francisco. The second bill would ban companies that sell, manufacture and distribute tobacco products, including e-cigarettes, from city property. San Francisco already prohibits tobacco companies from doing business on city property, and this measure would explicitly add e-cigarettes to the existing ban. The proposed bill would not be applied retroactively, so it would not kick Juul out of its current space at Pier 70, but it would prevent e-cigarette companies from leasing city property in the future. 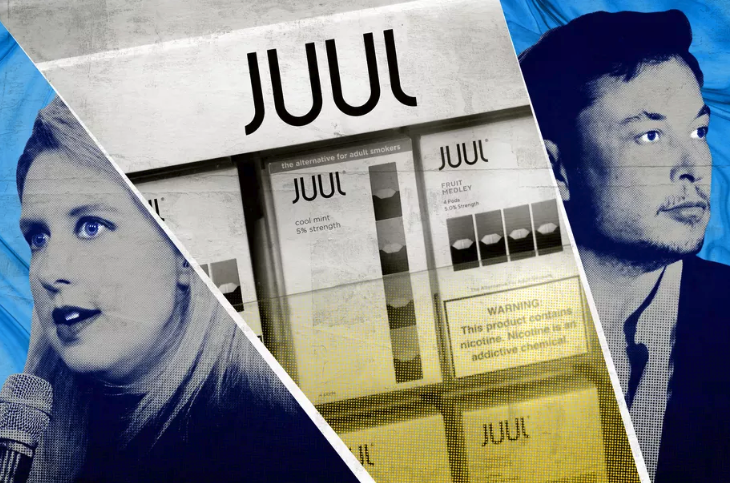 At a Tuesday news conference, city officials blasted the e-cigarette company for what they called “predatory practices” toward young adults, with Juul’s sleek, palm-size vaporizers and pods that evoke tastes like mango, creme and cucumber. Director of Public Health Dr. Grant Colfax said the two bills are a positive step toward “breaking the epidemic” of e-cigarette use in San Francisco.